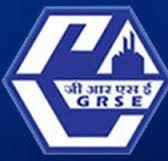 GRSE Recruitment 2018 – Apply Online for 261 Apprentice Posts:- Garden Reach Shipbuilders & Engineers (GRSE) Limited has released latest notification for filling up 261 posts of Trade Apprentice (Ex-ITI), Trade Apprentice (Fresher), Graduate Apprentice, Technician Apprentice. Desirous & eligible candidates can apply online from 07/12/2017 to 27/12/2017. Age Limit as on 01/01/2018. 1. Trade Apprentice (Ex-ITI): Applicant should have passed All India Trade Test (AITT) for Craftsmen Training Scheme and possess a National Trade Certificate (NTC) issued by National Council for Vocational Training (NCVT), Govt. of India in the respective feeder trade. 2. Trade Apprentice (Fresher): Applicant should have pass ed Class 10th standard / Madhyamik or equivalent examination from recognized Central / State Board. 3. Graduate Apprentice: Applicant should have a Degree in Engineering or Technology granted by a Statutory University or by an Institution empowered to grant such degree by an Act of parliament in the respective subject fields. 4. Technician Apprentice: Applicant should have a Diploma in Engineering or Technology granted by a State Council or Board of Technical Education established by a State Government / by University in the respective subject fields. Starting Date of Online Application :07/12/2017. Last Date of Online Application : 27/12/2017. Application Procedure: Eligible candidates may apply online through the website http://www.grse.nic.in from 07/12/2017 to 27/12/2017. Subscribe our free job alert mail for GRSE Recruitment 2018.